Oonies are inflatable mini balloons that magically stick together! Create an ooniverse of wonders. It’s super easy and super fun! 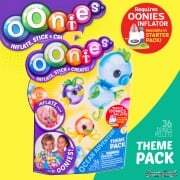 Suitable for ages 5+, just inflate them, stick them together and then decorate with Oonie Deco Bits! 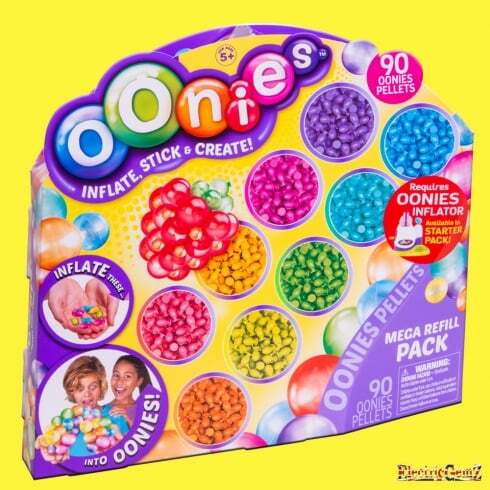 If you can think it, you can make it with Oonies! Make a variety of fun characters, create cool games and challenges, throw ‘em or even just pop ‘em. 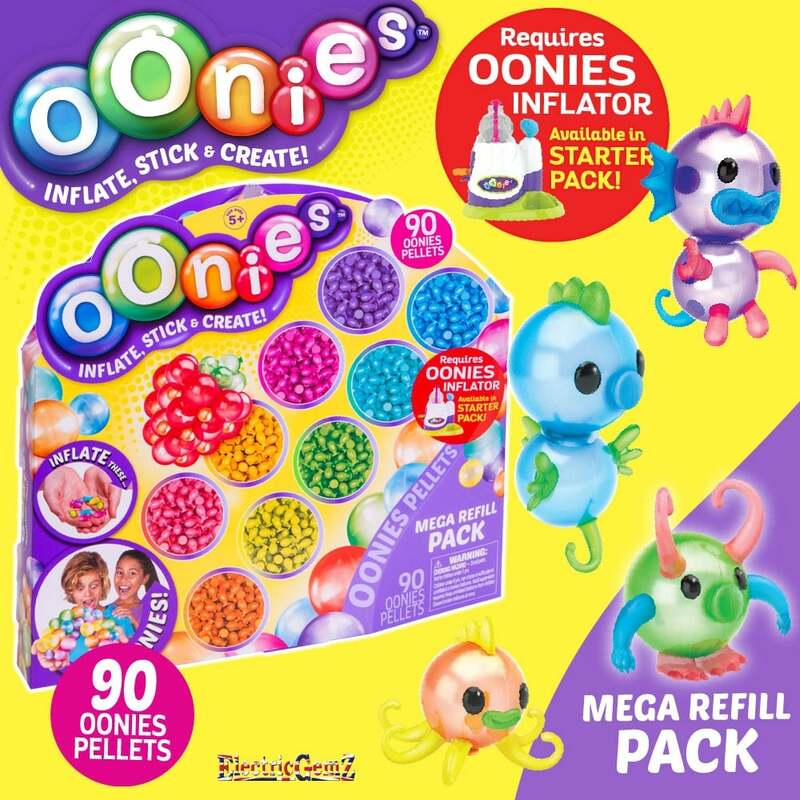 The Oonies Mega Refill Pack is designed for use with the Oonies Inflator Starter Pack (sold seperately) and includes 90 Oonies pellets so you can create even more Oonies fun! We have the full range at ElectricGemZ. Search in the box above for Oonies.